A couple of weeks ago, I finished working on a special project. A customer had a great idea to blend some family farm relics into a modern table. The result was a really cool solution. 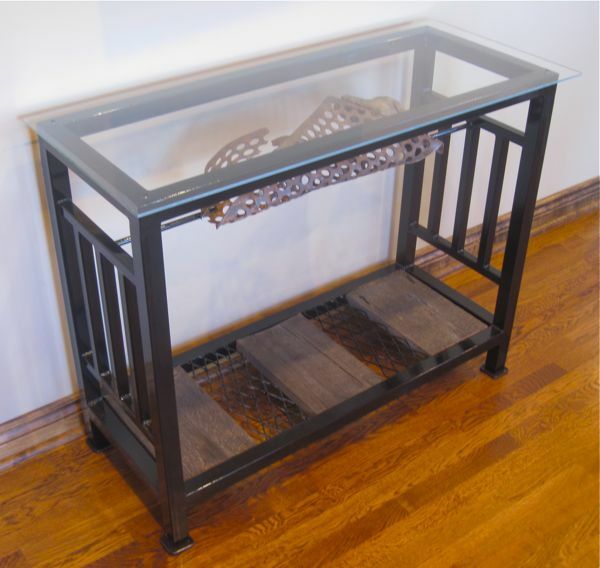 This narrow table incorporates steel, glass and wood. I built the steel frame using a simple design to show off the artifacts. 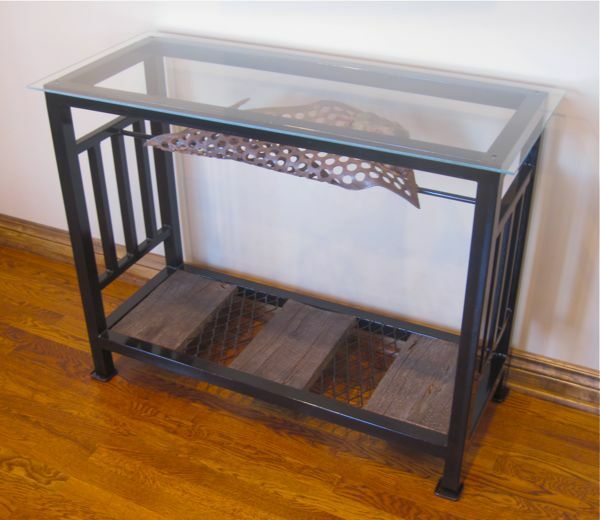 The perforated, wrinkled and rusty metal piece hangs under the glass top. It brings back memories of a growing up on a farm. 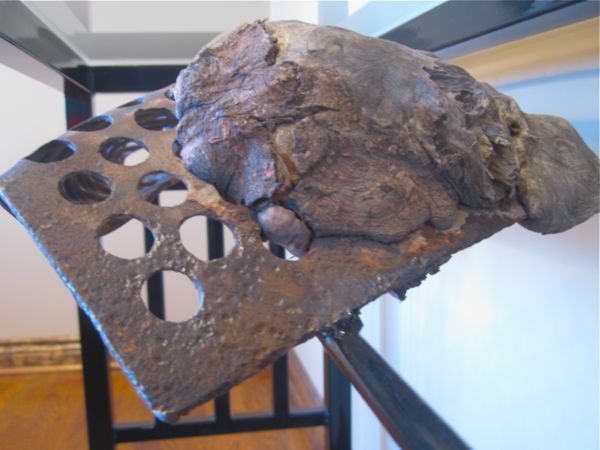 The metal was remembered as a place where a father sat to change his boots during a daily round of chores. The lower shelf uses wood rescued from a decaying barn on the property. All of these pieces were integrated into a useful table. A great way to display family history in a practical setting! Over the years, a tree grew up into the metal piece. Left behind is a wonderful burl, which adds even more character to the table. 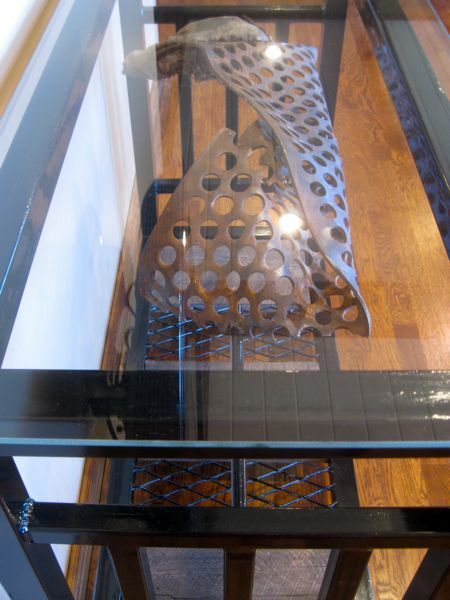 A glass top was used to reveal the floating metal piece. 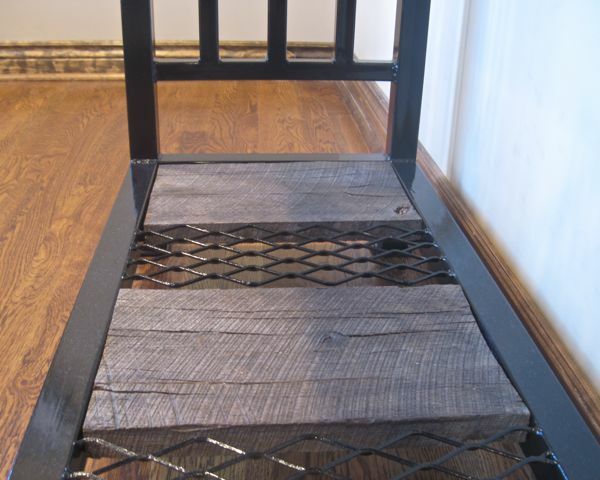 The stout metal table frame is coated in a glossy black enamel paint. The bottom shelf will make a useful spot for other items. Or left alone to show off the barn wood.